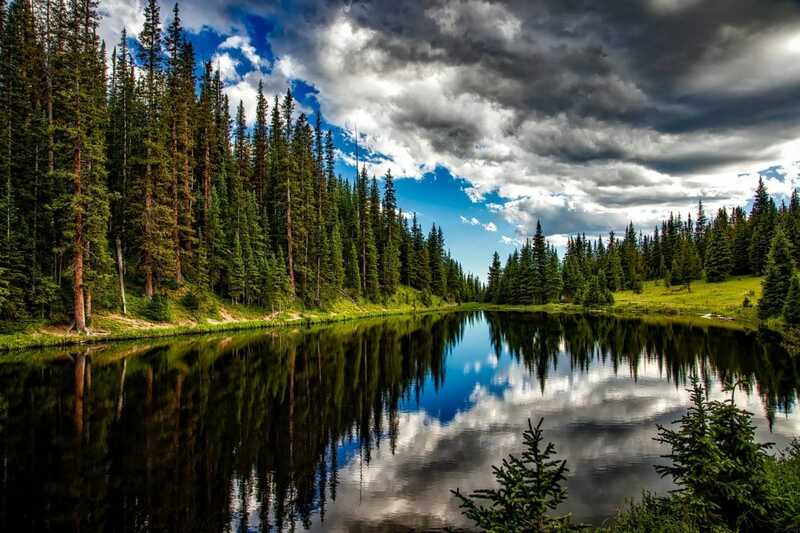 Colorado is the outdoorsman’s Heaven. Colorado is the ultimate mecca of all things outdoor adventure. This sunny state draws people from all over with its natural charms. When the weather gets cold, don’t worry. The ski slopes make for excellent winter recreation. Colorado’s ski and snowboarding season is quite unsurpassed. Of course, if you are looking for activities to do in the warmer months, consider another outdoor excursion. 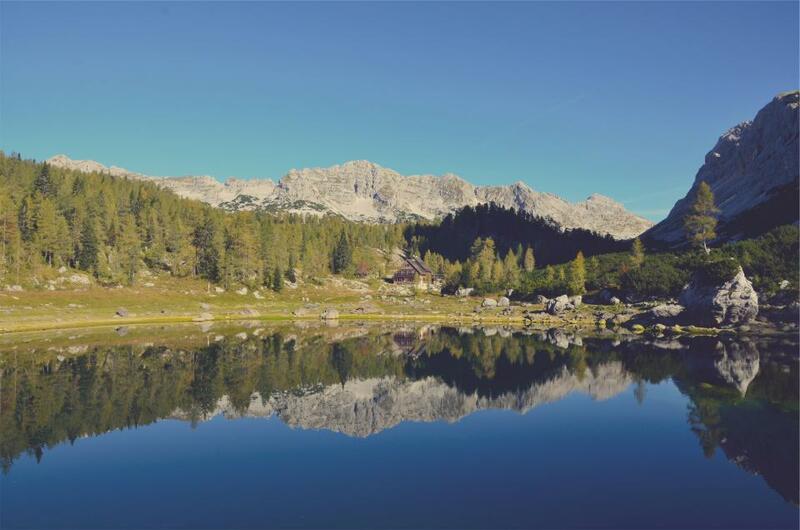 Colorado boasts some of the most beautiful camping spots and hiking trails in the country. Pack up your backpack and prepare for the ultimate adventure. When it comes to hiking, Boulder, Colorado is a great place to start. There are a number of Boulder hikes that you do not want to miss. Boulder is a nearby cousin of Denver. This less popular metropolis is actually quite captivating. Boulder’s small town feel and excellent local cuisine make it a must for your Colorado itinerary. Fortunately, there are plenty of outdoor activities just a stone’s throw away from Boulder as well. From rock climbing at Boulder Canyon to adventuring in the Flatirons, the selection here is certainly unsurpassed. Start with a day hike and see where it takes you. We have some of our favorite selections for hiking around Boulder. For a truly remarkable hiking experience, check out these top eight Boulder hikes. Your preferred hike has a lot to do with the grade of difficulty. The elevation in Colorado alone is enough to make even the simplest trek a challenge for those not yet acclimated. However, if you are looking for a more strenuous hike, consider the Royal Arch Trail. This highly popular route is only three miles long, but still quite difficult. Your best bet is to try this route between March and October, as this is when the beautiful wildflowers bloom. Eldorado Canyon State Park is a definite highlight of Boulder’s landscape and an excellent place for Boulder hikes. The surrounding, iconic rock face walls are easy on the eyes as you enter into Eldorado Canyon State Park. If you want the chance to take a peek at these views for yourself, take the Rattlesnake Gulch trail. This route takes you through beautiful glimpses of Eldorado Canyon. You can also spot Colorado’s eastern plains not too far off. Along this trail lies the remains of the Crags Hotel, a historic edifice constructed in 1908. This hotel tragically burned down in 1913, but it’s remnants are still there for hikers to explore today. The Flatirons are a well-known feature of Boulder, and of Colorado as a whole. These distinctly shaped rock formations tower over the plains below. Here, you can explore these natural wonders in different ways. Adventurers have the option of rock climbing or hiking. For Boulder hikes, the First and Second Flatiron Loop is the perfect way to get a taste of this mountain range. This route gains roughly 1,425 feet of elevation, so be prepared. The total loop is 2.5 miles, which can be completed in just a few hours. There are truly too many hikes within Eldorado Canyon to name. If you find your own, it is sure to also be an adventure all its own. A top contender among Eldorado Canyon’s best hikes is the Eldorado Canyon Trail. This trail guarantees you a beautiful landscape and super sore quads. Enjoy the expanse of the canyon, the massive cascades, and the promising cliff-top views of Eldorado Canyon. If you are willing to trek the 6.2 miles, then this route is for you. There is an elevation change of 1,945 feet, so be sure to bring enough water and pace yourself. The Eldorado Canyon Trail is perfect to hike in the Spring, Summer, or Fall. Once you finish hiking on the trail, go ahead and check out other nearby activities within Eldorado Canyon. You can do anything from horseback riding, rock climbing, to fishing. Another highlight of difficult but enjoyable Boulder hikes is Mount Sanitas. Yes, this is a mountain so there are going to be some great summit views. Make the three mile journey as you reach the top of Mount Sanitas. Unfortunately, Mout Sanitas’ fame doesn’t come without a cost. This hike is one of the most popular Boulder hikes. Consequentially, the trail is often full of people. If you want the spectacular views without the added crowd, try and trek up Mount Sanitas in the winter. It is also a good idea to hike on a weekday to avoid any unwanted traffic. Locals recommend to take the Mountain Sanitas Trail as you head up to the peak and then return back via the Sanitas Valley Trail. Earning its title from the Bobolink, a seasonal Colorado bird, the Bobolink Trail is the perfect getaway. If you are itching for some solitude away from the hustle and bustle of lift, make your way along the paths of the Bobolink Trail. As you wander, you will enjoy the rushing streams and distant mountain peaks glistening in the sun. The trails runs 3.7 miles, past a lake and through some forest brush. You never know, you might also spot a Bobolink. Ah, the Flatirons again, because we just can’t get enough. Really, even if you spent your entire trip in the Flatirons, you still will not cover it in its entirety. The Flatirons Vista route is actually an ideal way to get a glimpse of these rocks. This particular route is farther away from the entire mountain range, which means you can see it as a whole. The open landscape of this trail allows for maximum visibility. Of course, be sure to wear sunscreen so you don’t get crispy from that extra sun exposure. If you are looking for a great trail run, this is it. The Flatirons Vista gives you some great scenery to enjoy as you get a workout in. If you are a cyclist, you might like this route less. Mount Flagstaff is a challenging, yet rewarding uphill battle. Whilst it is known for being a biker’s challenge, Mount Flagstaff also makes for a great hike. Work your way through the boulders and dense pine forest as you near the summit. The trek is not long, but the elevation gain packs a punch. If the hike doesn’t take your breath away, these views sure will. Mount Flagstaff is the ultimate place for that Colorado outdoor mountain picture. You can also spot the Flatirons and the city of Boulder below as you gaze out from Mount Flagstaff. If you don’t want to make the hike, you also have the option of driving up the nearby Lost Gulch route. This lets you enjoy incredible scenery as you drive up and stop at various overlooks. Colorado’s outdoors is yours to explore. Clearly, Boulder is a place worth visiting during your time in Colorado. For those looking to expand their outdoor adventures past here, Rocky Mountain National Park is close by. This vast plot of land is 415 square miles and hosts Long’s Peak, a well known 14er. Are you brave enough to tackle the 14 mile trek to its summit? 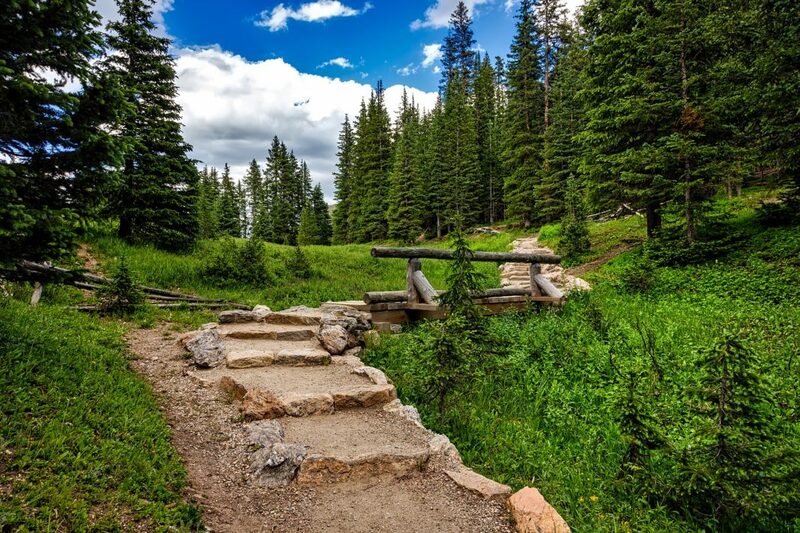 There are also a number of shorter hikes within Rocky Mountain National Park that are just as scenic. If you enjoy the view, stay a while. In fact, set up your tent and camping gear for an overnight adventure. Colorado stargazing is something that you need to see to believe. As you might have gathered, there is surely no shortage of excellent outdoor activities in the state of Colorado. Set your mind on exploring and watch the adventures come your way. Work your way through this list of Boulder hikes and check off just a miniscule portion of Colorado as a whole.